It’s been a while since Ian Siegal released a studio album recorded with a band. You have to go all the way back to 2012, in fact, and his Mississippi Mudbloods outing Candy Store Kid. Six years! You could almost imagine that he’s been biding his time, waiting until he had something worth saying. And listening to All The Rage, it’s been worth the wait. Lyrically it’s not a one-trick pony, but several songs still add up to Siegal’s own State of the Union address, and as a talented word wrangler he’s found plenty of material to fuel an ironic, acerbic take on current affairs. Musically too, fans will recognise an idiosyncratic, quirky slant on roots music that is typical of Siegal – there’s blues to be sure, but there’s more going on here than twelve bars. The imagery of opener ‘Eagle-Vulture’ suggests that Siegal has the current red-in-tooth-and-claw nature of the American body politic in his sights, over a twitching paradiddle rhythm from drummer Rafael Schwiddessen, while Dusty Cigaar lays down a classic, subtly twanging guitar line. Siegal himself is in his inimitable rumbling mode vocally, dispersing acidly apocalyptic observations with a deliberation that recalls earlier songs like ‘Curses’ and ‘Stud Spider’. It's kinda obvious to reckon on Trumpist America being the target for Siegal’s commentary in these songs. But the slow blues of ‘The Sh*t Hit’ could easily be expressing bewilderment at the state of the world generally, to the accompaniment of keening slide guitar from Siegal and the tinkling of bar-room piano from producer Jimbo Mathus. And ‘Ain’t You Great?’, with its sweetly withering refrain of ‘Ain’t it great again / All this hate again’, is just as applicable to the so-called ‘populist’ politics of Europe, as it moseys patiently along with Cigaar now giving full vent to his Hank Marvin propensities. 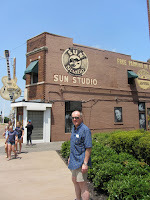 Siegal lets his country leanings out to play in the middle of the album, with the aching ‘Won’t Be Your Shotgun Rider’, and with ‘My Flame’, which sounds like an example of Elvis’s ‘sacred’ side – but with lyrics by Dylan. On ‘One-Eyed King’ he then turns that sonorous voice in the direction of Johnny Cash in Revelations mode. But it’s the penultimate track ‘Sweet Souvenir’, co-written with Mathus, that’s the cream of this particular crop. It’s a late night bar stool lament with a delicious melody, Cigaar on top form, and spot on backing vocals from Merel Moelker. ‘If I Live’ could scarcely be more bluesy if it tried, evoking ‘Smokestack Lightning’ inside and out, while Siegal’s vocal becomes uncannily Wolf-like into the bargain. The album closes with ‘Sailor Town’, the lowest key, laziest slice of loping funk you could wish for, as if Siegal’s earlier favourite ‘Hard Pressed’ got infected by Willie Dixon’s heat-struck ‘Walkin’ The Blues’. It says something about the talent at work here that these are ten songs, largely mid-paced and averaging five minutes a pop, where not a second is wasted and the interest levels never flag. Songwriting, singing, playing and production all come together to deliver an album that’s going to repay repeated listening. 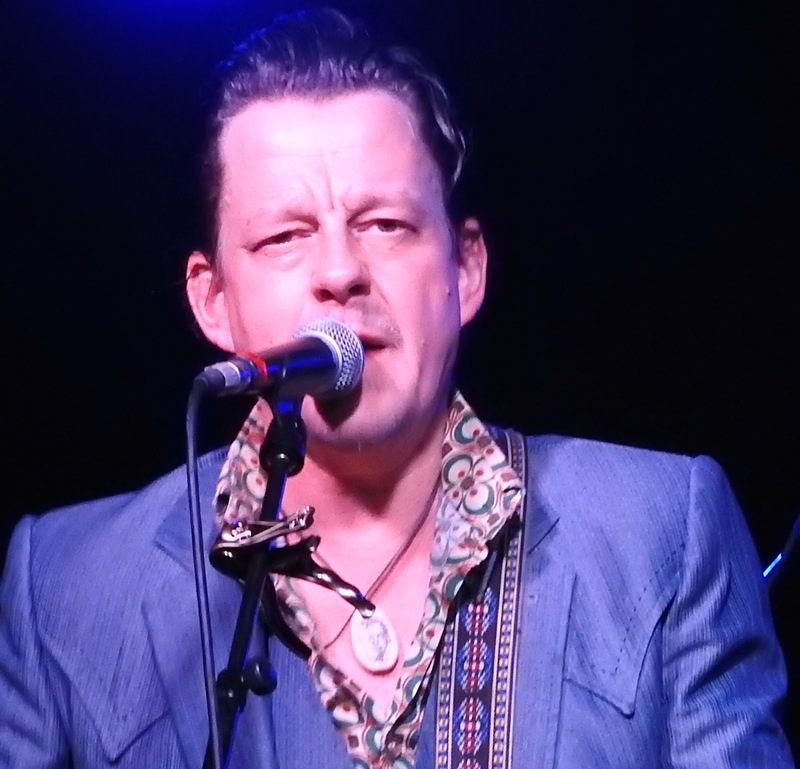 Ian Siegal is a one-off, very much his own man rather than a dedicated follower of fashion. All The Rage is more evidence of his singular quality. Get this album. Listen to it lots. Go see him live this Spring.